Josh ran an established barbershop in Crowborough, East Sussex but the shops brand was holding him back from expanding the business. He approached us to assist in developing a new brand that would fit in with current trends and act as the perfect base for him to further develop his business. Working with Crane Creative has been a pleasure. Tom really understood my vision and delivered everything I had hoped for and more. Being able to leave them to it whilst I concentrated on being a barber was vital as my shop is very busy. Having Crane Creative assisting with the printing and delivery of graphics also saved me alot of trouble trying to find another supplier that I could trust. Top man. Initially, we worked with Josh developing his new brand logo, supplying visuals and mock-ups to help him make informed decisions about where he wanted to go with the project. 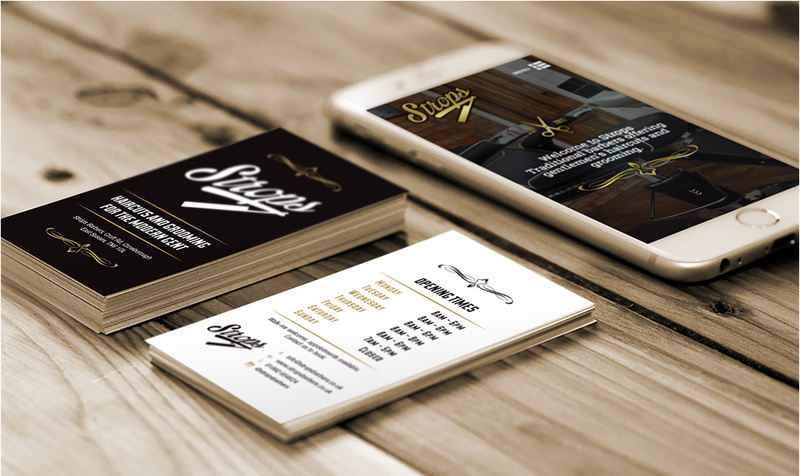 From designing business cards, shop signage through to a fully mobile and device responsive website Crane Creative was there to help Josh move forwards with his re-branding project. The brand new, mobile responsive website design fits in with his brand and allows for future scope within the growing business. 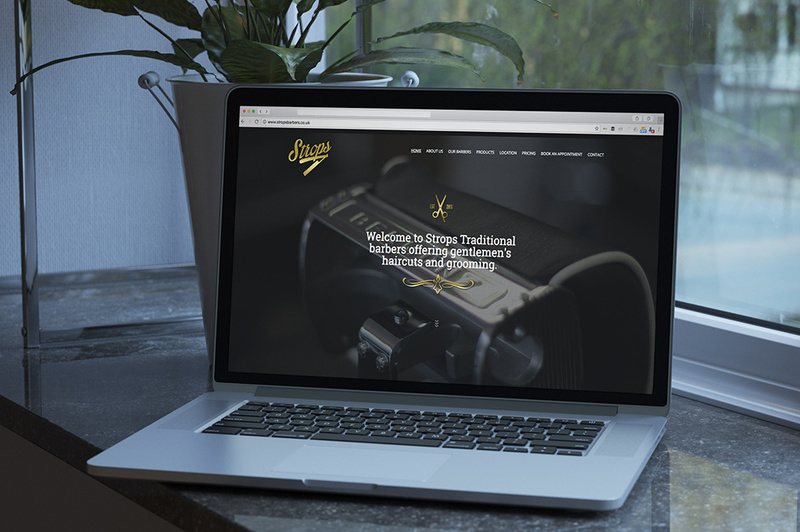 The website acts as an easily accessible portal for his customers to book appointments, view pricing and find out more information on the Barbershop itself. The long-term vision for Strops is to develop an e-commerce side to the business. The website provides the perfect platform to do just that. 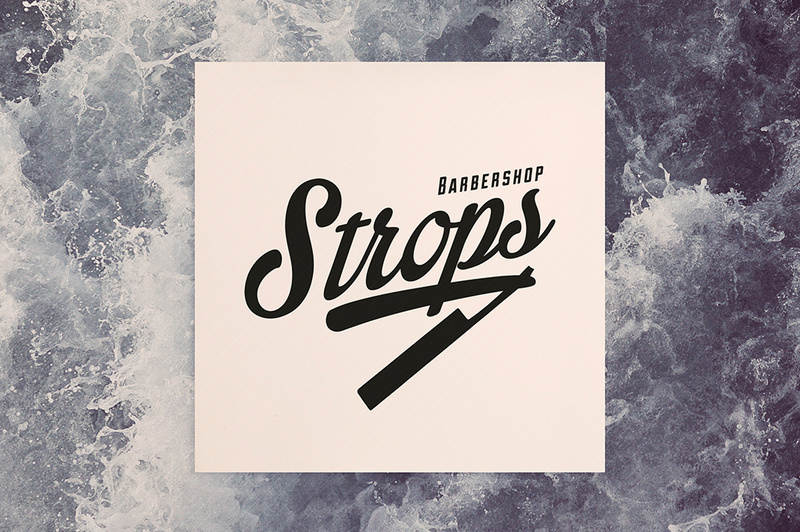 In the meantime, we worked with Josh and his team on creating Strop's Barbers first line of products. The resulting products are a step above the rest. 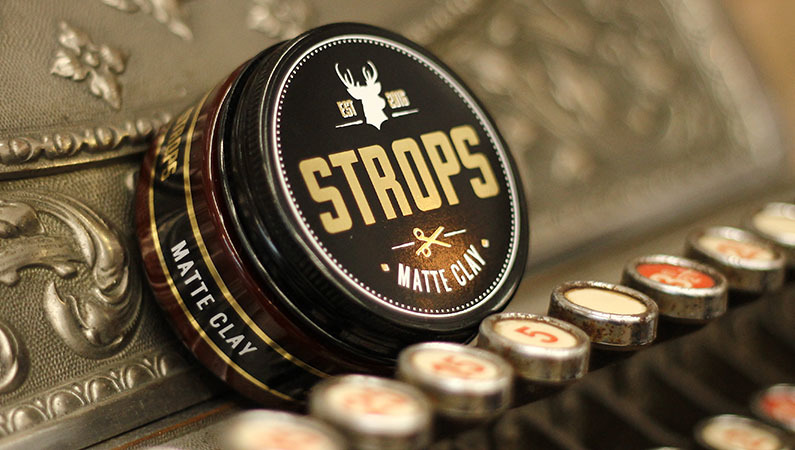 Using special finishes we've created eye catching, top end product labels for his pomades & clays. Along with this labels for a beard oil and salt spray. If you'd like to discuss your new business branding or product design requirements please don't hesitate to get in touch.